Vine protection isn’t just a matter of pest control. It also means conservation of the plants and soil as part of an agro-system and its biodiversity. To this end, we constantly evaluate our growing methods in order to combine tradition with the latest techniques and respect for environmental rules. Champagne Sustainable Viticulture and High Environmental Value certification is a voluntary approach that aims to promote our particularly environmentally-friendly practices. After an audit of 125 requirements we were certified in October 2015. 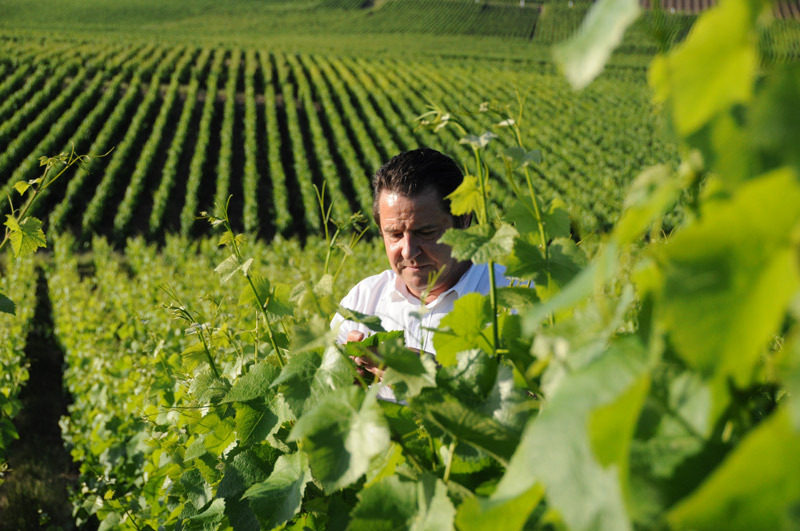 See our vertificate High Value Environmental and Champagne Sustainable Viticulture. Biodiversity conservation, terroir and landscape development. Plant protection strategy using alternative methods. Accountable management of water, waste-water, by-products and waste. We practice grassing (l’enherbement) on 30% to 50% of our land. Grass planted between the vines helps to combat, through absorption, pesticide residue found in ground or runoff water. The benefits of this method outweigh any extra inconvenience or diminution of the harvest. With grassing, runoff and erosion are decreased, vines are less sensitive to parasites, the landscape is improved and outputs can be controlled. To incorporate this growing method we have expanded our equipment to include mowers and “intelligent” plows capable of working under and around the vines . The main diseases that threaten the vines are mildew, powdery mildew and gray mold. These detract considerably from the quality of the grapes and harvest and necessitate the use of pesticides. 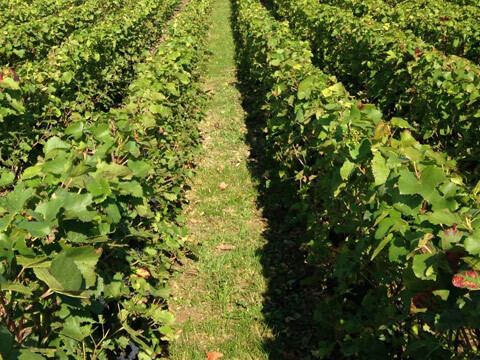 “Sustainable viticulture” – using as little chemical assistance as possible to produce a profitable crop – is recommended by The Comité interprofessionnel du vin de Champagne. Experience shared through this group helps us determine the right treatment at the right time and place – thus keeping the use of chemicals to a minimum. Whenever possible we use biochemical methods, such as mating disrupters to discourage insects . Sustainable viticulture allows us to respect the environment while striving for quality and quantity. The grape berry moth is a major pest of cultivated grapes. Their larva creates infection sites for rot organisms and invites attack by Drosophila flies. Pheromone dispenser which disrupts the mating of male and female of targeted species of moths, meets the objectives of the "Grenelle de l'environnement". It preserves biodiversity and the sensitive balance of the eco-system. This kind of protection requires a structured wine-producing network and joint efforts of the community.